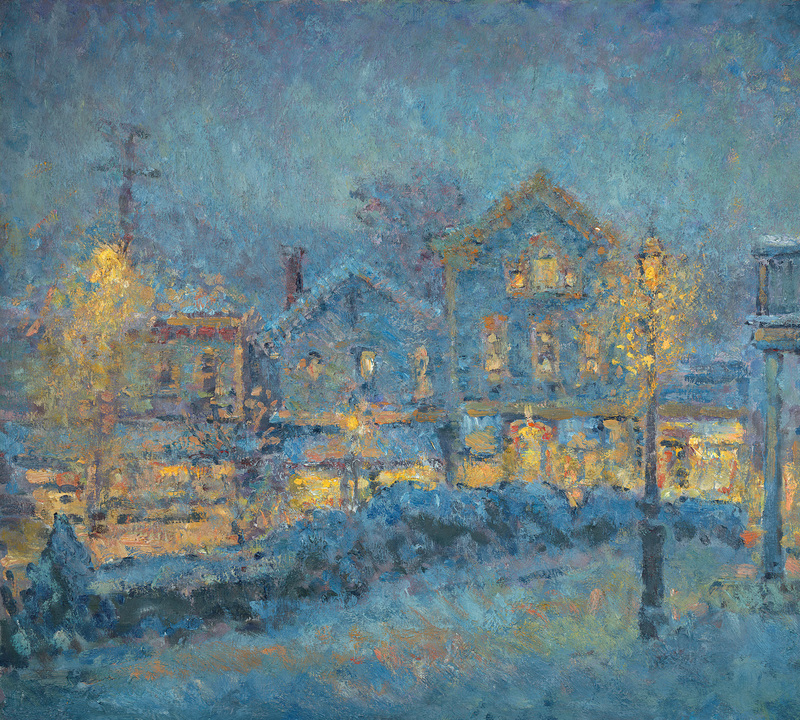 An original fine art print of an oil painting of snow falling on the town of Chester, Connecticut by Leif Nilsson. Limited Edition Fine Art Prints of this image are available. Signed limited edition of 250 fine art prints, from an original oil painting 36 x 48 inches by Leif Nilsson.